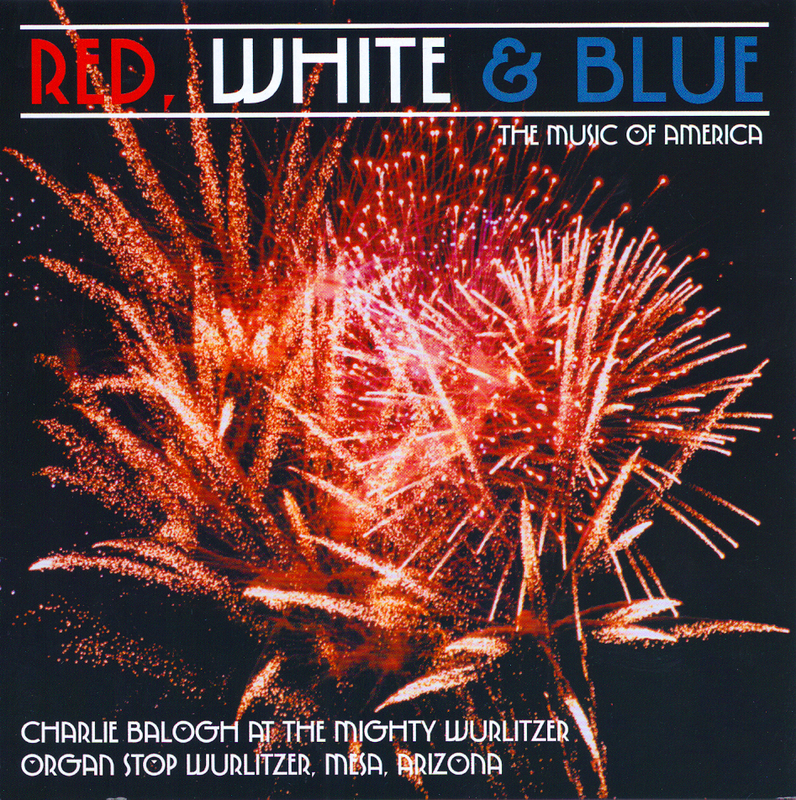 Red, White & Blue, the music of America, is the first recording produced by Organ Stop featuring an exclusively American/Patriotic theme. Patrons, especially in recent years, have requested more and more patriotic music, thus this album seemed extremely appropriate for our times. This collection of music spans the 200+ years of “Americana,” and reflects the great diversity of our musical heritage, from soulful Simple Gifts up to the jubilant Stars and Stripes Forever. 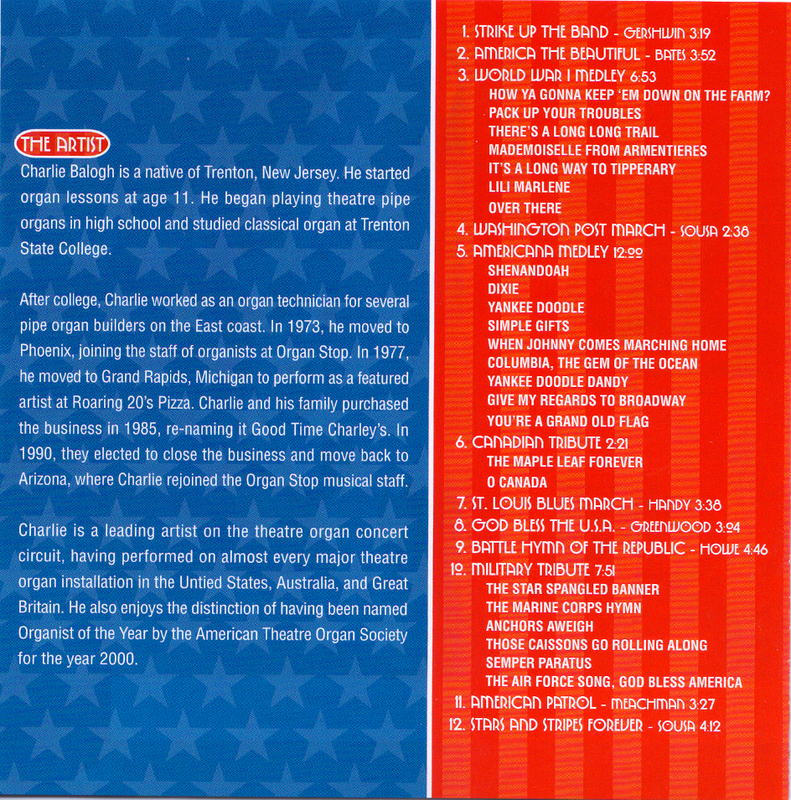 As is typical of Charlie Balogh’s artistry, this album becomes a showcase for presenting concert quality arrangements, as well as the endless musical colors present in the Organ Stop Wurlitzer. Over a year went into the planning, preparation, recording and production of this project. We sincerely hope you will be pleased with our results.